This show was a special surprise CHICKENFOOT show and the band played through most of the new album, "III". Like the other Birthday Bash shows from 2011, this show was webcast. Note: Sammy forgot the 2nd verse to Down The Drain, and had to skip it and revert to the chorus to move on. 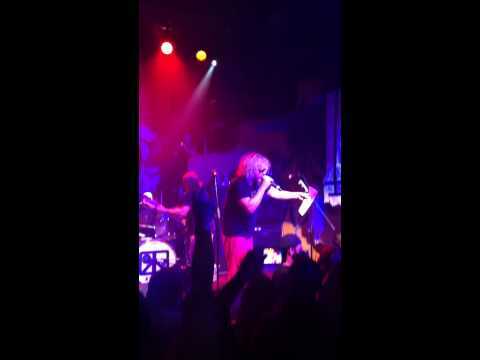 what was the setlist for the Chickenfoot show of that night? I have an extra ticket to the 13th show, need one for the 9th. I am not selling the 13th, but would be happy to take someone that will take me to the show on the 9th. Looking for 7 tickets for the show for either the 9th or the 11th, let me know if you have any to sell. Are any tickets going back on sale before concerts? Actually, posted that looking for tickets for 9th. But, the 11th would work also. To David - Many fans have purchased tickets and have realized that the tickets will not be transferable and they are not refundable. We would like to extend the opportunity to receive a full refund on any tickets purchased. Please contact sales@redrocker.com prior to September 15, 2011 if you wish for a refund. This was on our email confirmation. If you got your confirmation email them today for a full refund. Tickets are non transferable. The person who purchases them has to pick them up in person with ID. I bought tix last year then couldn't go. It's just wasted money. If these 2 tickets are still available I would like to buy them. By the way my birthday is also October 16th. Looking for any answer as to what I can do with 2 tickets for October 9th show. I cannot make it. I have two tickets to the October 9th show and now I cannot go. Does anyone know how I can either get money back or put up the tickets for sale to someone who is actually going to be there? I am not looking to make a dime off of this but to just recoup ticket costs. I have 1 ticket for the show on the 9th. I would like to trade it for the show on the 11th. We were lucky enough to get tickets for this show !!!!! Staying at Temptation Resort but plan on spending the whole afternoon in Cabo before the show. Ready to Party never been to the Cabo before.